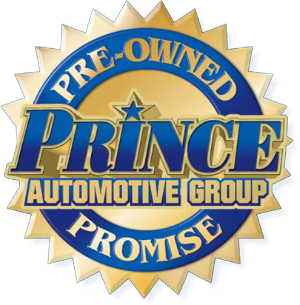 Prince Toyota invites you to experience the difference our high level of customer service can make for you! 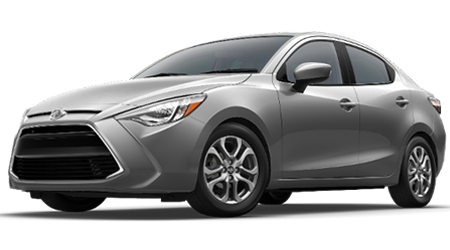 Our knowledgeable team members are eager to share the safety specifications and luxurious features that come standard on the Toyota model you're interested in and find the aggressive offer that helps you save some money! Our competitive prices will keep both you and your wallet happy while our vast showroom ensures you're able to explore all your options under one roof! Make the short trip over from Albany to our Tifton, GA location to get all the details of the brand new Toyota models on the market, like the durable Toyota Tacoma! This versatile pickup truck can tackle whatever life throws in your path while providing you with a comforting interior cabin. 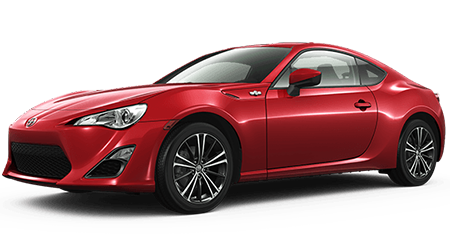 Explore all the features of this new ride today, head over to Prince Toyota now! We are always looking for ways to simplify your shopping experience and how to efficiently make use of your time! For those reasons we have implemented an online search system so you can get your Tacoma search started from your Valdosta, GA living room! Perform a general search now to scroll through the different trim options available and get a feel for what you're interested in. Once you have a general idea, start inputting search filters to get tailored results delivered right to your fingertips. When you're ready, give us a call at (229) 299-8942 to schedule a test drive! Once you've arrived here at our dealership don't forget to stop by our financial department to go over your car loan options! We'll review your credit information and work with our many lenders to secure a comprehensive loan package that suits your budget and enables you to snag the Toyota Tacoma you have your eye on! 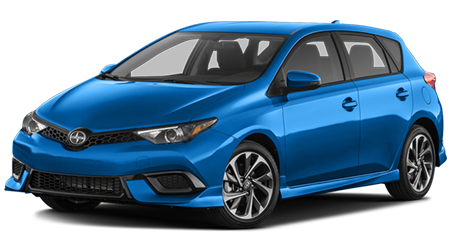 There are so many vehicles out there to choose from and here at Prince Toyota we encourage you to explore all your options! Keep reading to learn about how the new Toyota Tacoma compares to a similar model, the Nissan Frontier. Let's get our comparison started by first introducing the upgrades the new Tacoma has received! 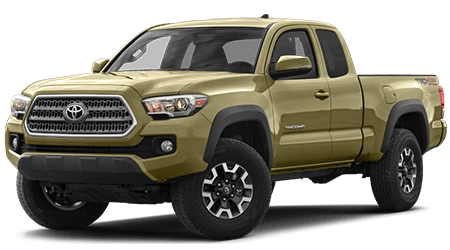 The sleek stylistic improvements make an already visually appealing ride even more so, and the Tacoma has enhanced its performance game, what with the intense V6 powertrain. If you're looking for a vehicle that can dominate the road with ease, look no further than the 2016 Toyota Tacoma! This masterful work of art has to be seen to be believed, head over for a hands-on experience and a test drive today! The new Tacoma even features some different trim options so you have the freedom to choose the one that suits you and your needs. The base engine of the new Tacoma is anything but basic! This ride comes equipped with a 2.7-liter four-cylinder that produces a whopping 159 horsepower and 180 pound-feet of torque. If you frequently find yourself hauling lots of cargo and making your way up those steep hills, this is the pickup you'll want on your side! You even have the option of upgrading to the 3.5-liter engine with a horsepower of 278 and 265 pound-feet of torque! The perks don't end there, the Tacoma utilizes Variable Valve Timing with Intelligence technology to improve its already impressive fuel efficiency; drop by Prince Toyota today to take this pickup for a spin and experience the raw power and smooth handling for yourself! 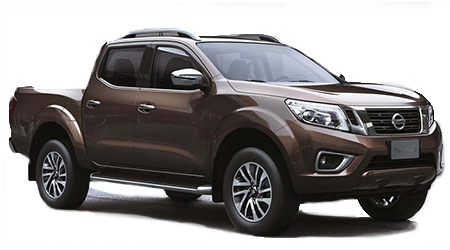 The Nissan Frontier also gives you two options, either the base 2.5-liter four-cylinder engine or the V6 option. While the Frontier produces more torque than the Tacoma, the towing power of the Toyota pulls ahead at 6,800 pounds, beating the Frontier by a difference of 300. The Toyota Tacoma hosts a slew of breath-taking features, all designed to further enhance your driving experience. Take advantage of the Entune™ multimedia system and use the camera to help you maneuver out of those tricky parking situations. The adjustable driver's seat makes it easy to find a comfortable position while the lumbar support ensures your relaxed the whole way. Make the trip over to Tifton, GA now to witness these features first hand and to find out how you can own your very own Toyota Tacoma today! If you're interested in the base model of the Nissan Frontier, you'll have to do without the rearview camera, as well as the adjustable front seat. Don't waste your money and pay more for less, make the smart choice of purchasing a Tacoma at Prince Toyota now! We all want a stylish new ride, but at the end of the day, we want to know we've obtained a vehicle that is looking out for our safety. The Tacoma will put your mind at ease, what with its range of safety systems that come standard. Learn all about the Star Safety System and the features it contains, like vehicle stability control, anti-lock brakes, and electronic brake-force distribution. This vehicle works to avoid an accident from occurring in the first place, drop by to discuss these features as well as all the available upgrade options at your disposal! The LATCH anchoring system ensures your little ones stay securely inside the car while the tire pressure monitoring feature can alert you to any critically low situations. In the rare event of a collision, the Tacoma's comprehensive airbag system will work to provide you with a wall of protection. If you're concerned with the safety of you and your family while on the road, you'll have to do some serious upgrading on the Nissan Frontier, as it doesn't come standard with the features the Toyota Tacoma boasts. Don't leave your security up to chance, snag a Toyota today and drive confidently. 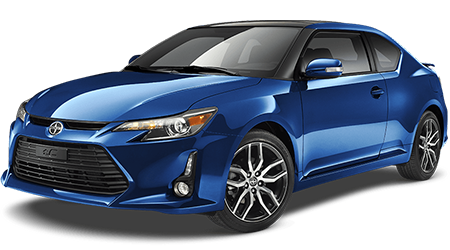 Your brand new Toyota purchase comes with complimentary ToyotaCare that includes roadside assistance, as well as a 36-month/36,000-mile bumper-to-bumper warranty. That's not all, when you grab one of these sleek new affordable options you'll also get a limited powertrain warranty of 60-months/60,000-miles! You'll be hard pressed to find a Nissan Frontier warranty that comes with all three features that the Tacoma does. From detailed information, jaw-dropping specials, warranty specifications and purchases, let our knowledgeable team members guide you through your new car acquisition. We proudly serve all of our Georgia neighbors so make the short trip over from Albany, Douglas or Valdosta today! We look forward to welcoming you soon and providing for all of your vehicle's needs now and for years to come!